One of the most important lessons a student can learn is that practicing music is a problem solving experience. 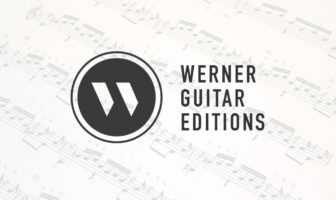 I read an article a few years back by classical guitarist and educator Scott Tennant that clearly defined the difference between playing and practicing. Those too words meant the same thing to me while growing up, but I now realize they are very different things. Playing: This is when you enjoy the hard work you’ve put into practicing, that is, you just play. When you play you are really concerned with only one thing: the experience of creating music. You might still be paying attention to technique and musicality but for the most part you are just ‘going for it’ and letting your musical training and inspiration run free. This is not really practicing. When you are playing you are not able to improve much, you simply test out or try to execute the material. Practicing: Practicing is when you are actively solving problems, that is, you are finding weaknesses and defects in your musicality that are either caused by technique, interpretation, reading, or how you envision the music. You then set about solving the problems and improving yourself as a musician. So the rule is that when you practice you identify a problem and set about fixing it. Clarity is key to good practice. Think about when a music teacher critiques a student, they have to clearly state what the problem is and then offer a solution. You must be your own teacher when you practice. Practicing takes a great deal more concentration than playing but it makes you improve more quickly and efficiently! Have you isolated the problem you are working on? Do you clearly understand the problem and can you describe it in words? If yes, how will you solve it? If no, get advice from your teacher or do some research. Research: how have others solved this issue? Did your teacher give you advice on the topic? Did you actually try out that advice for a few weeks or months? Can you find clues/tips in books, websites, by listening? Look for role models. If five high level professionals play in a certain way on YouTube maybe you can experiment by following their example (technique, posture, musicality). Make sure the role model is indeed a good example. Are there any tools to help you such as metronome practice, technique exercises? I never really gave much thought to practice journals until the problem solving issue really hit home with me. By writing down your goals and problems/solutions you’ll be making your practice session much more concrete, as opposed to abstract. Music teachers do this once a week for their students and so you must as well. You can write a weekly set of goals but then clearly write down what your want to achieve for each individual practice session. Some of my best students are not the ones who practice the most hours, they are the ones who consistently practice well. Being efficient will not only make you a better musician, it will also free up some time so you can have a life. Having a life is darn important, you don’t have to lock yourself away and be a musical hermit, you just have to get to the main point of practicing, which is to improve. 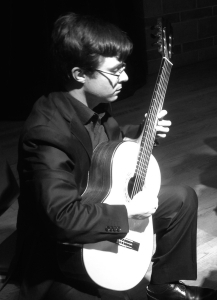 The famous classical guitarist John Williams, a flawless player, said that while growing up he only practiced 30mins a day! I bet that was a concentrated and quality 30min! The late head of strings at the Victoria Conservatory of Music, Dr. Walter Mony, once told me that I should dedicate most of my time to technique, musicianship, and etudes. I was stressed by the amount of repertoire I had at the time but his suggestion made sense. In a way, practicing technique and etudes is like practicing all of your pieces at once. The goal is to be able to have as little in the way of problems as possible so nothing that comes up in your repertoire will affect you negatively. If you understand the music and have a solid and versatile technique, you can play anything. Ricardo Iznaola on Practicing: A Manual for Students of Guitar Performance: A great little manual on how to practice well. It’s a small booklet but it’s exactly what every student needs!